Global Imaging is passionate about staying ahead of market changes in order to offer the best guidance to our partners today and for the long term. With that in mind, we’ve put together some of the most influential trends in digital textile printing we think you’ll want to know about for 2018 and beyond. As digital currently makes up only 2.5% of the $165 billion total global textile printing, there is a lot of room for growth in market share. According to InfoTrends, innovation in inkjet printing technology will enable cost-effective solutions at all levels, democratizing fabric printers for small and large producers. 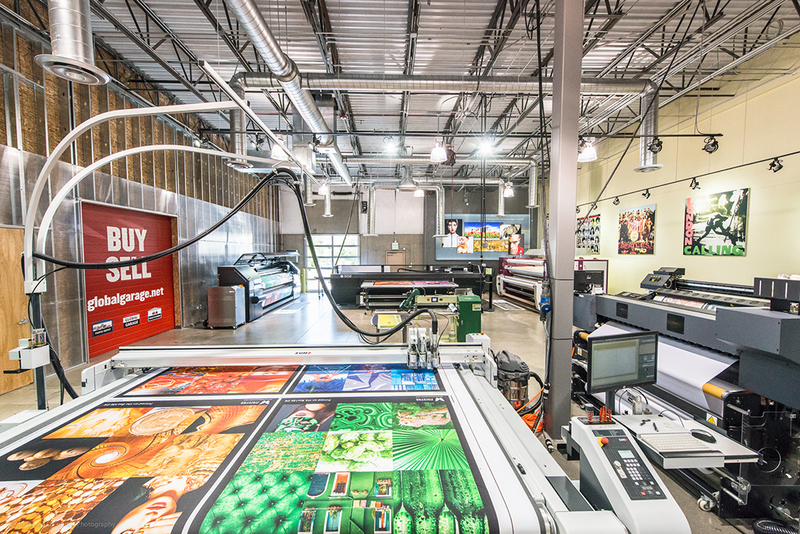 Displays and signage, the second largest segment of digitally printed textiles at 35%, is expected to see the largest absolute increase in value, from $3,286,135 in 2016 to $6,418,584 in 2021. The traditional model of textile production, based in places with lower labor costs such as China and India, is expected to undergo a major shift. The cost-effectiveness of digital printing supports a trend to reshore production – or bring it back to developed work markets. Doing so allows for quicker turnarounds; a tighter control of quality; and makes brand protection easier – particularly with the new generation of high-performance automated systems and web-based logistics and business models. Experts predict a trend toward total personalization – with runs as small as one! This is a demand that can be met cost-effectively only with digital printers. The haute couture and retail fashion industries are already commissioning “mini-seasons” within the traditional 2- or 4-season calendar. We expect demand for fast-turn retail signage to increase as change outs and reorders become more frequent, which will strongly favor digital printers. Want to know how your shop can best prepare to meet these trends? Talk to one of our expert consultants today.